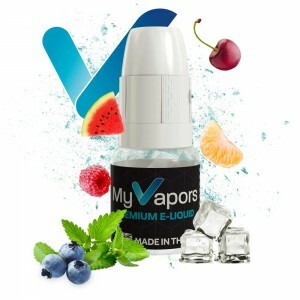 MyVapors e-liquid 10ml bottle size. Comes as a 60pg/40vg ratio. 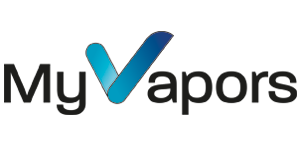 Produced in a state-of-the-art production facility in the UK, using the highest quality ingredients. 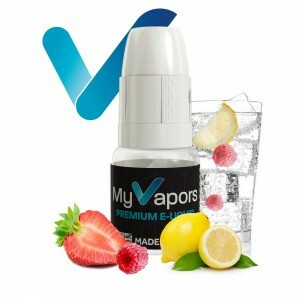 With a range of 10 flavours to choose from including Lemon Pie, Berry Lemonade, Blended Tobacco and many more. Part of the 4 for £10 Deal. 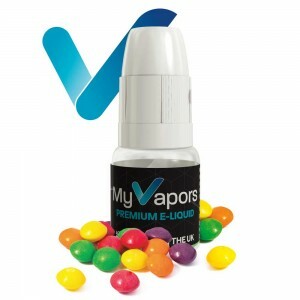 Bubblegum; An authentic old school bubblegum flavour. 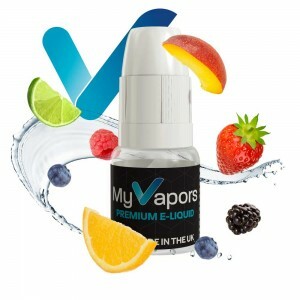 Minted Fruits; mixed fruit with menthol(Heisenberg) flavour. Blended Tobacco; a rich blend of tobacco`s flavour. Cool Menthol; a smooth menthol flavour. 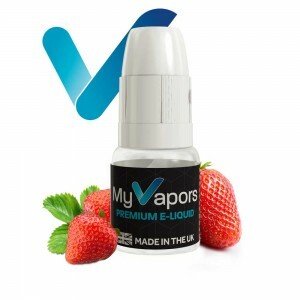 Wild Strawberry; freshly picked sweet strawberry flavour. Berry lemonade; berry mix and lemonade flavour. Rainbow Sweets; fruits and candy flavour. 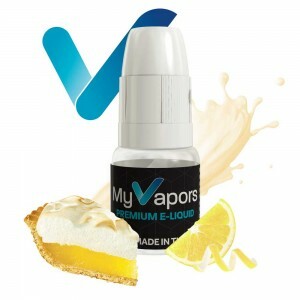 Lemon Pie; a tangy lemon with a pastry note. Blackcurrant; Delicious freshly picked blackcurrant flavour.